Pet Emergency? Call us right away at 814-840-1738! 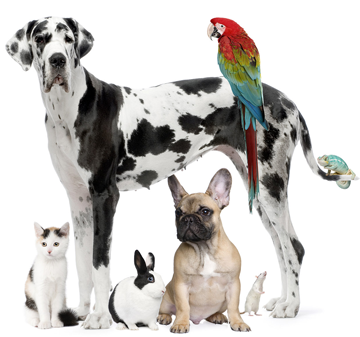 If you live in Erie or the surrounding area and need a trusted veterinarian to care for your pets – look no further. Dr. Brandon Grimshawe and Dr. Jenny Grimshawe are licensed PA veterinarians, treating all types of pets. Your pets’ health and wellbeing are very important to us, and we take every possible measure to give your animals the care they deserve.  Millcreek Animal Hospital is a full service AAHA accredited animal hospital and welcomes both emergency treatment cases as well as pet patients in need of routine medical, surgical, and dental care. Both Dr. Brandon Grimshawe and Dr. Jenny Grimshawe have years of experience treating serious conditions and offering regular pet wellness care. Beyond first rate pet care, we make our clinic comfortable, kid-friendly, and calm, so your pet can relax in the waiting room and look forward to meeting our Erie veterinarians. We are happy to offer a number of resources that enable you to learn about how to take better care of your pets. Please feel free to browse our site, particularly the informational articles. The best veterinary care for animals is ongoing nutrition and problem prevention, so becoming knowledgeable about preventative pet care is essential to the ongoing success of your animal’s health. We are happy to serve all of the Erie area townships including Millcreek, Fairview, McKean, Summit, Girard, and Harborcreek. If you have any questions, call 814-840-1738 or email us and we'll promptly get back to you. Our Erie veterinary office is very easy to get to -- and you can find directions on our Contact Us page! We also welcome you to subscribe to our newsletter, which is created especially for Erie pet owners. Dr. Jenny is a hometown girl who attended Harborcreek High School and Mercyhurst University. For Veterinary School, Dr. Jenny went to Ross University in St. Kitts and completed her fourth year at Auburn University. Animal welfare has always been of the utmost importance to Dr. Jenny. Becoming a veterinarian meant being able to save the life of any animal in need, and there was no other career that made Dr. Jenny happier. It was a lifelong dream. It also meant that she would be able to share her education with the public, other animal lovers, and spread awareness. Dr. Jenny is thrilled to be at MAH to complete her lifelong journey in helping animals in need. Along with her special interest in dermatology and internal medicine, she is certified in palliative care and hospice. She wants to make sure the humane animal bond remains strong throughout your pets entire life. Denise is our wonderful practice manager. She is originally from Erie, Pa. and got her start in the veterinary field as a veterinary nurse almost 17 years ago. You may see her up front answering phones or in the back managing the hospital. Since taking on the role as practice manager she continues to excel at pushing her team to offer the best possible service in the area. She has two wonderful cats named Azriel and Erebus as well as a turtle named Orlando. Dr. Grimshawe is the founder of Millcreek Animal Hospital. He was born and raised in Montgomery, Alabama. After spending 6 years in the United States Marine Corps as an infantry rifleman he graduated from University of Alabama Birmingham with a degree in Biology and Chemistry. He then went on to earn a Doctorate of Veterinary Medicine from Auburn University's College of Veterinary Medicine 4 years later. His primary interests are in surgery and emergency medicine along with strengthening the human animal bond. Rachael is a Veterinary nurse at MAH. She joined our family after completing an externship with us from Great Lakes in April 2018. She enjoys fishing, classic cars, and spending time with her family. Her favorite breed is the German Shepherd. Rachael owns three of them Kain, Koda, and Kora. Tammy is our Team Leading Nurse. She has a wealth of experience that she brings to our family in shelter management and as a former animal control officer. Tammy and her husband, Nick, currently reside in Edinboro, Pa with their 2 beautiful children, 3 lovable dogs, a lizard, and turtle. When not spending time with her lovely family she enjoys running and finding beach glass. I am so happy that I chose Millcreek Animal Hospital for my Little Gizmo. Dr. Grimshawe is so kind and caring to my baby boy, he is thorough, informative and takes the time to listen and answer any questions I may have. The staff is warm and friendly, Gizmo gets greeted with enthusiasm and hugs every time we go in. The facility is exceptionally clean and has an inviting atmosphere. I would recommend anyone looking for a Veterinarian for their fur baby to call Millcreek Animal Hospital. Me and my husband just had to put down our cat angle. I could not say enough about the wonderful staff and Dr they were such a great help in dealing w our loss.they we're very compassionate and they treated us and angle amazing. Affordable Care and the staff is just amazing wish I would have started with them but they will get all of our animals. Highly recommend them. I can't thank you guys enough.